We buy and sell Montana real estate and are proud to call Missoula our home base. We are a family-owned agency with 70 years experience offering homes for sale in Missoula, MT and beyond. Take advantage of our unique perspective about Western Montana real estate in this beautiful region of the Pacific Northwest. All homes for sale listed with us also receive a free 3D virtual home tour. I’ll take care of your photography and accessibility, call me today so we can discuss pricing. We buy and sell Montana real estate and are proud to call Missoula our home base. We are a family-owned agency with 70 years experience offering homes for sale in Missoula, MT and beyond. Take advantage of our unique perspective about Western Montana real estate in this beautiful region of the Pacific Northwest. All homes for sale listed with us also receive a free 3D virtual home tour. Several online messages sent to agencies in Missoula inquiring about real estate and Amy was the only one who got back to me. My home purchase was completed, start to finish, in 6 weeks. Amy was extremely patient and understanding. She took time to research answers to all my questions. Built in late 2013, this E. Missoula charmer is completely move-in ready. Bright and stunning Cobblestone Townhome! 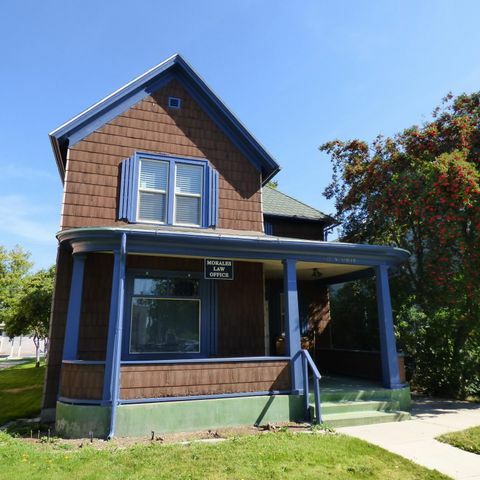 535 W Kent Ave, Missoula, MT is a single family home that contains 1,052 sq ft and was built in 1953.